On Thursday, December 6, the Planning Commission voted unanimously to adopt the Western SoMa Community Plan. “Building a Complete Neighborhood” is the formal title of the Plan. The creation of the Folsom Street Neighborhood Commercial District (Folsom NCT) is the centerpiece of a community-based planning process which began in 2005. Other neighborhood enhancements include a new category of commercial corridors know as Regional Commercial Districts (RCDs), which will apply to the concentration of furniture stores along Ninth Street and the auto body shops on Tenth Street, the designation of many small alleys as Residential Enclave Districts, a new service, arts and light industrial zoning category (SALI) south of Harrison Street and mixed-use office zoning along Townsend Street. The bulk of the Western SoMa Special Use District, which is bounded by Mission Street on the north, Fourth Street on the east, Townsend Street on the south and Division on the west, will be zoned Mixed-Use General (WMUG). This is primarily residential zoning and it will be restricted to the area north of Harrison Street. The Planning Commissioners clarified standards for flexible land uses in historic buildings by voting to include offices in individually eligible national and state landmarks, article 10 landmarks, Article 11 Cat. 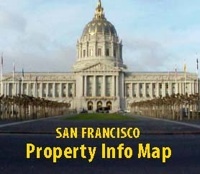 I-IV and buildings individually eligible for listing on the National or State Register. Buildings in the SALI district are excluded from office use. They also voted to amend the zoning for the 11th Street entertainment corridor to change it from residential to mixed-use office, which does not allow housing. Entertainment would become fully-permitted under this zoning. A 24-unit housing project at 340 11th Street, under development since 2004, was grandfathered in. Entertainment also scored big in the Plan with the SALI district being opened up to new large entertainment venues and the inclusion of Limited Live Performance venues in the Folsom NCT. Strict building code standards for new construction alongside existing clubs are included in the Plan and entertainment permits can also be passed along to new developments that demolish existing sites. The Plan still requires the concurrence of the Board of Supervisors and the signature of the Mayor to make this official. Barring any last minute difficulties, it could go into effect early next year. So does this mean big entertainment now CAN be developed north of Harrison along 11th street. If so how far north can it go? They made entertainment a principally permitted use by changing 11th Street to a zoning category, Western SoMa Mixed-Use Office (WMUO), that allows entertainment but prohibits housing. The district extends to all the buildings fronting on 11th Street from Harrison to just north of Folsom. The properties north of Folsom that are WMUO cannot develop new entertainment because they are within the 200 foot buffer surrounding the Kissling Residential Enclave District (RED). These properties were included simply to extend the prohibition on housing. Of course, the “purple building” across from Slim’s, which has had a 24-unit housing project permitted since 2005, was grandfathered in.